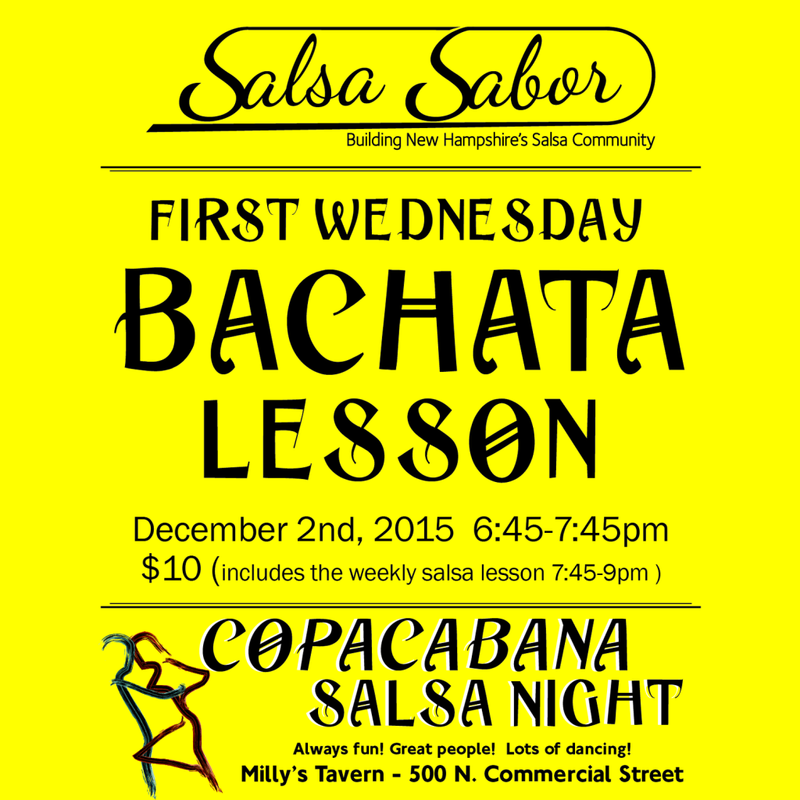 One last dance of the year for 2015 at Copacabana Salsa Night! 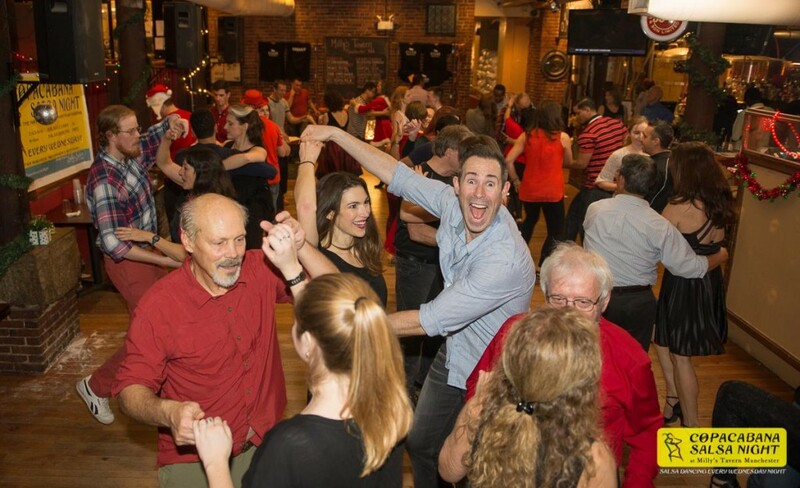 This Wednesday, 12/30, come by for one last dance in 2015. We want to thank everyone for their support, fun dances, and great memories in 2015. We have some good stuff in store for the salsa community in 2016. We love seeing everyone improve as dancers, have fun every week, and most of when you bring your friends to get them hooked! This week will be things as usual, lessons 7:45-9pm for just $5. Social dancing to the best mix by DJ DRZ from 9-11pm with no cover charge. 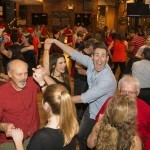 One last dance of the year, and one last dance out front at Milly’s Tavern. As of next week, January 6th, 2016, we will be taking over the back room ever week. We are excited to have this new beautiful space, but it may take us a couple weeks to figure out the best way to use it, so please bear with us as we make some adjustments. Milly’s Tavern is renovating and re purposing the front space. We’ve been out back a few times due to conflicting events. If you were there for those nights you know it is a beautiful space. More importantly for the summer months, it is Air Conditioned! 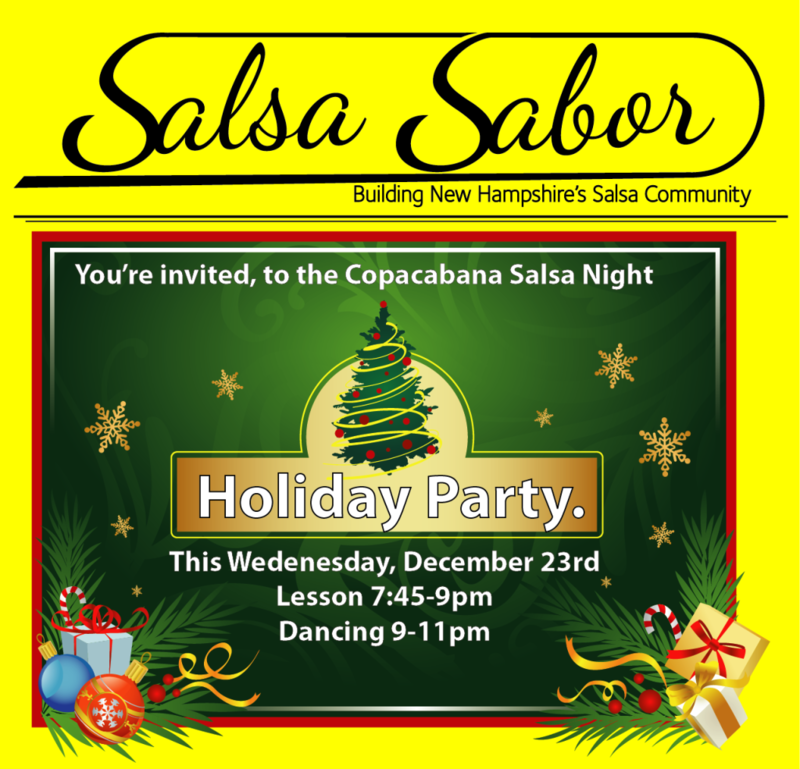 This Wednesday we are having our annual Holiday party at Copacabana Salsa Night. Dress your best, in holiday colors (Susie say wear red!) and come celebrate the holidays with us. There will be cookies! And possibly Mistletoe! And of course the best night of Salsa dancing in New Hampshire. Come have fun with us. Regular Hours, Lesson from 7:45-9pm, Social Dancing 9-11pm. No partner required, no experience necessary. You may remember Uri and Vera from their workshop and performance at Copacabana Salsa Night last year. It was an amazing time, we love these two amazing dancers and artists! Be sure to check out the workshops and learn from the masters this weekend! 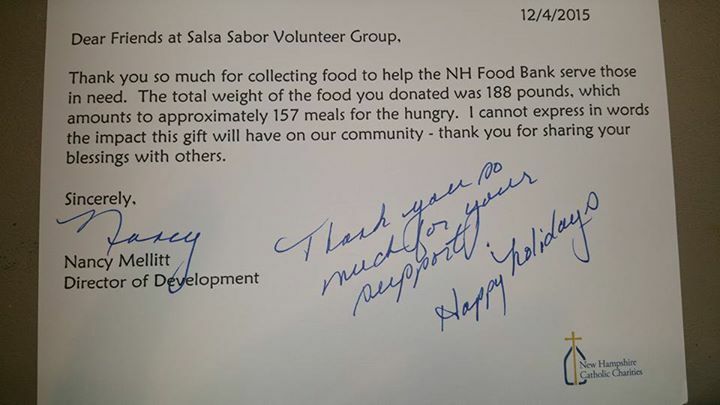 We received a nice thank you from the New Hampshire Food Bank for our food drive donations back in November. Thank you all for your support and help with our annual event. 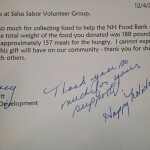 In addition to the 188 lbs of food donated we raised enough money to provide an additional 370 meals for our community for a total of 527 meals provided by the annual Copacabana Salsa Night Pre Thanksgiving Food Drive. 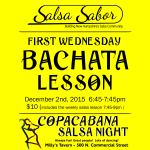 This week is the first Wednesday of the month, That means it’s First Bachata Wednesdays at Copacabana Salsa Night. 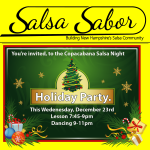 We have an additional Bachata Dance lesson from 6:45-7:45pm before our every week Salsa Lesson 7:45-9pm. Cost is $10 for the Bachata Lesson, and it includes the Salsa lesson after. Then stay for Social Dancing from 9-11pm No cover charge for Social Dancing to the best Salsa Bachata and ChaCha around.